Adriano “Mikinho” Moraes‘ is focused on one task on Friday, 25 January – reclaiming the ONE Flyweight World Title. To do that, the Brazilian Jiu-Jitsu black belt has to defeat a familiar foe in Geje “Gravity” Eustaquio at ONE: HERO’S ASCENT in Manila, Philippines. 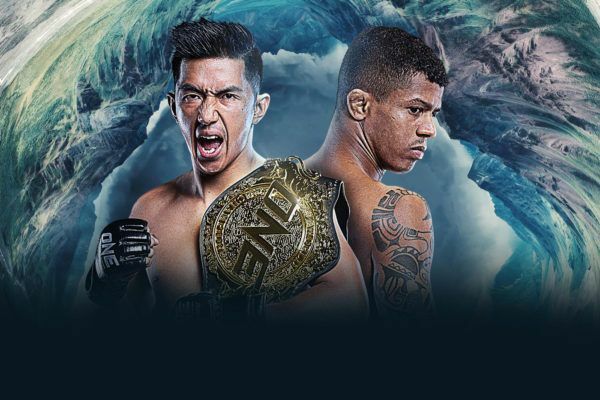 The contest inside the Mall Of Asia Arena will be the first ever trilogy match in ONE Championship history, and with the scores tied at one win apiece, it will be fascinating to see how both athletes adapt in their third meeting. Ahead of their trilogy bout, Adriano Moraes looks back at his historic win over Geje Eustaquio! “It’s an honor to have the first trilogy in ONE history against Geje,” Moraes says. Having faced him twice before, Moraes has enough knowledge about his opponent to know exactly what he must do to prevail. In their first encounter in 2014, “Mikinho” submitted the Team Lakay man with a second-round guillotine choke to claim the flyweight division’s inaugural World Title. Four years later “Gravity” had picked up the interim belt and earned a rematch with the Brazilian for the undisputed World Title. When the rivals met again at ONE: PINNACLE OF POWER last July, they went back and forth for 25 minutes in a closely-contested battle that could have gone either way. However, in the end, two of the three judges gave the Filipino the nod for the victory by split decision. Will Adriano Moraes reclaim ONE flyweight gold on 25 January? “Mikinho” believes one of his main issues was his failure to adapt to the stand-up portion of the contest. 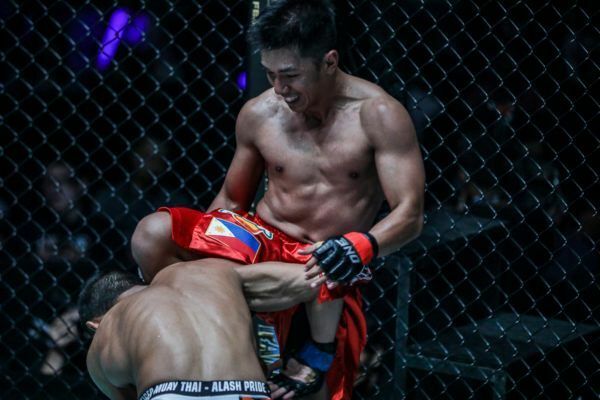 He could not figure out how to combat Eustaquio’s wushu stylings that gave him an advantage on the feet – a fact he says would not have been the case had his Muay Thai coach Vitelmo “Katel” Kubis not been out of action because of surgery. However, this time, he says these problems have been solved. “I had some problems in my last camp that I have fixed in this camp so I can be better,” Moraes explains. “I think going into that bout I had some doubts about my striking. I watched it back, and my footwork was not working. Just three more weeks until Geje Eustaquio vs. Adriano Moraes 3! The 30-year-old is also applying the same principle to his ground game. He had the lion’s share of the success in the grappling exchanges, but he could not make it count by locking up a submission. The solution for the rubber match is an all-offense strategy. “I think he had evolved very well in his grappling game for the second bout,” Moraes says. “My jiu-jitsu is better than his, so for this fight, I will be more aggressive. Another element that could have affected Moraes’ approach was that he had become good friends with his rival. Moraes respects the Baguio City native as a man and as an athlete, but he will not let those feelings get in the way of his path back to World Championship gold this time. Adriano Moraes puttin' in WORK for his World Title rematch with Geje Eustaquio! “I’m a big fan – he’s my friend from the mountains, and I’ve learned so much from him – but my focus now is to go for the top. “Mikinho” believes that his destiny is in his own hands. If he can implement his new, more aggressive game plan, he says there will be nothing to stop him getting his hand raised. “Now is my chance to show I am really the true champion,” he adds.